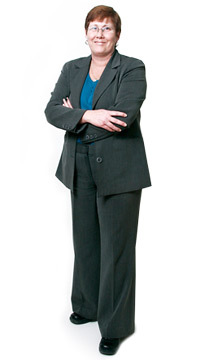 Leslie Wilkes is a senior litigation law clerk with the Kahler Personal Injury Law Firm. Leslie has over 25 years of experience dealing with personal injury matters. Although most of Leslie’s career was working in the insurance defence industry, Leslie has spent the last five years working on serious personal injury and catastrophic matters and has come to enjoy pursuing the client’s claims against the insurance companies. She has many years of trial experience, is a very organized individual and is always ready and eager to help others. During her spare time, Leslie enjoys spending time with her children and three grandchildren who keep her very busy.